The Internet of Things (IoT) has evolved from being a far-fetched futuristic vision to something that can realistically be expected to become a mainstream concept in a few years’ time. 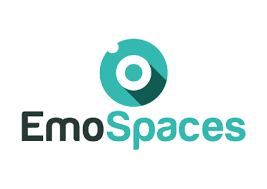 EmoSpaces’ goal is the development of an IoT platform that determines context awareness with a focus on sentiment and emotion recognition and ambient adaptation. The main innovative aspect of EmoSpaces lies in considering emotion and sentiments as a context source for improving intelligent services in IoT.